The Federal Reserve's remarkable announcement on Wednesday that it would print $1.2 trillion to buy bonds and mortgage-backed securities will yield some short-term benefits, namely lowering rates on mortgages, credit cards, and other loans. As justification for the move, the Fed said in a statement that: "Job losses, declining equity and housing wealth, and tight credit conditions have weighed on consumer sentiment and spending. Weaker sales prospects and difficulties in obtaining credit have led businesses to cut back on inventories and fixed investment." Fretting about higher prices -- more precisely, devaluation of the dollar -- might seem odd when stock prices, housing prices, commodity prices, and other prices have been sliding. But inflation remains a possibility in the not-so-distant future. "The question is at what price?" wrote analysts from Germany's Landesbank Baden-Wurttemberg. 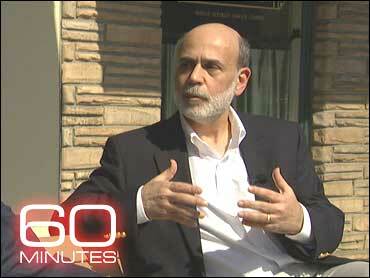 "Bottom line is the Fed is adding a trillion dollars to their balance sheet. In the long run, the price for these massive rescue measures might be inflation as once the economy recovers the Fed might be not able to raise interest rates quickly enough." John Ryding, founder of RDQ Economics LLC in New York and a former Fed economist, told Bloomberg that the move increases the danger, once the economy recovers, that the Fed won't be able to unload the securities quickly enough to raise interest rates and counter inflation. "It will raise inflation uncertainty," Gregory Hess, an economics professor at Claremont McKenna College in Claremont, Calif., told the Washington Post. Aurora Advisors' Yves Smith, who writes the Naked Capitalism blog, posted an extensive analysis comparing the Fed's move to the "Shock and Awe" campaign in the Iraq war. Like a company that issues more shares of stock to the detriment of existing shareholders, every dollar electronically printed (or expected to be electronically printed) dilutes the value of existing greenbacks. And because each devalued dollar can't buy as much in a global market, prices tend to rise, a least when banks begin lending again and the fractional reserve banking system's money multiplier kicks in. That's already happening. Oil prices were up 7.2 percent to $51.30 a barrel on Thursday. Commodity prices soared. The dollar fell against the euro and has lost 4 percent of its value in roughly 24 hours. Gold and silver, traditional hedges against inflation, rose. U.S. gold futures jumped nearly 8 percent. And, of course, Wednesday's stock market rally quickly faded. Perhaps, if the Fed's timing in the next year or two is impeccable, serious inflation can be avoided. But the odds of that happening are not as good as they were earlier this week. "People know that inflation erodes the real value of the government's debt and, therefore, that it is in the interest of the government to create some inflation," then-Fed Governor, now-Fed Chairman Ben Bernanke said in a famous 2002 speech. The problem is that Zimbabwe President Robert Mugabe had much the same idea too.